Grow Your Own Blueberries no matter where you live! 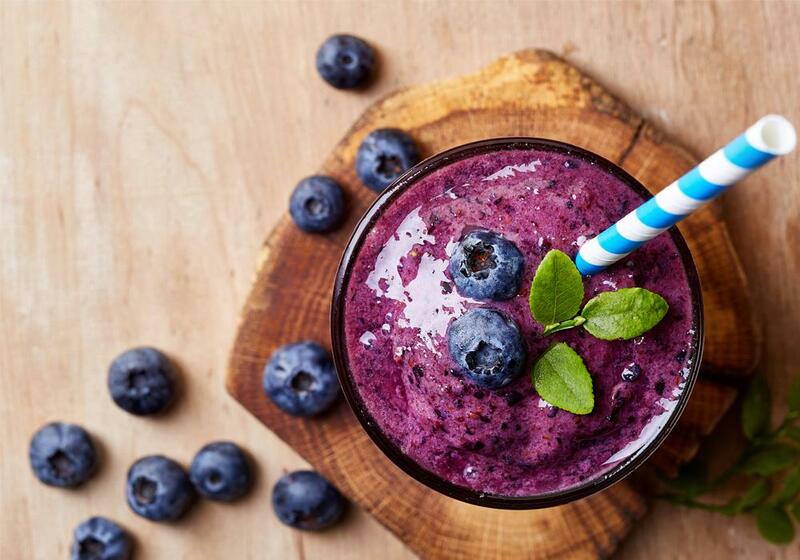 Blueberry plants produce edible fruit in a wide-range of colors and flavors ranging from sweet to tart. They can be planted in your garden, alone as an ornamental bush, and they do just as well in containers inside your home - or on your patio. Most blueberry plants are self-fruiting and thrive on their own, but planted with other blueberry plants, will cross-pollinate and provide a larger harvest of berries. 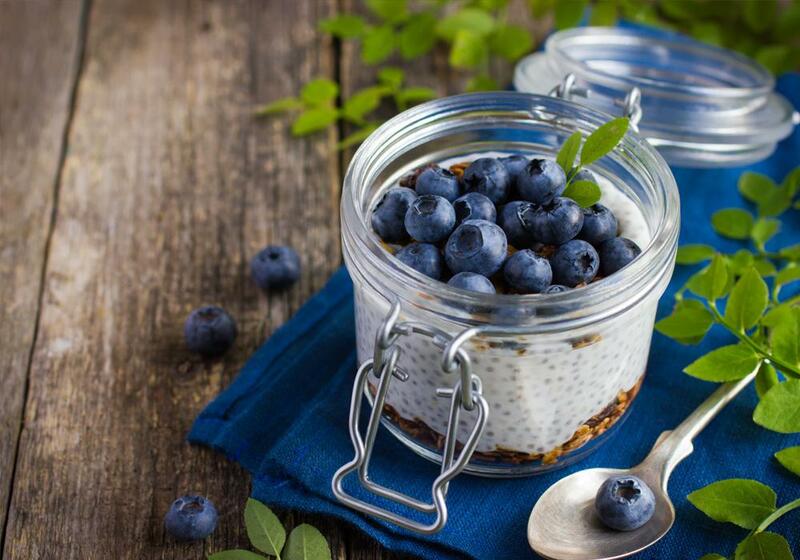 Growing blueberries takes planning, but it pays off with yummy, good-for-you fruits. Learn how to grow juicy, delicious berries no matter where you live. Growing blueberries has become popular in home gardens. They can be challenging to grow, but you'll be successful if you meet their needs. Follow our tips to growing lush, juicy blueberries that beat the store-bought stuff. Soil is one of the biggest factors in growing blueberries. Blueberries require a soil that is acidic, with a pH between 4.5 and 5.0. Test your soil first so you know exactly what type of amendments are needed and in what amounts. Test again after you've made adjustments. Blueberries need well-drained soil rich with organic matter. Blueberries should be grown in full sun. Blueberry plants are versatile and can thrive in various environments. You will want to choose the variety that does best in your particular growing zone. Lowbush Plants perform best in cold to moderate temperatures. If you live in the Northeast or Upper Midwest, you’ll want a cold-hardy Lowbush variety plant. 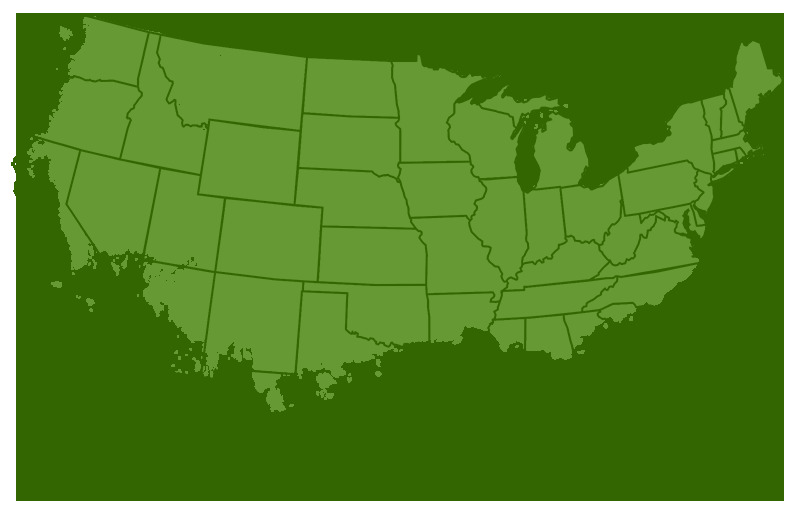 Southern states with warmer climates should choose a Rabbiteye cultivar. 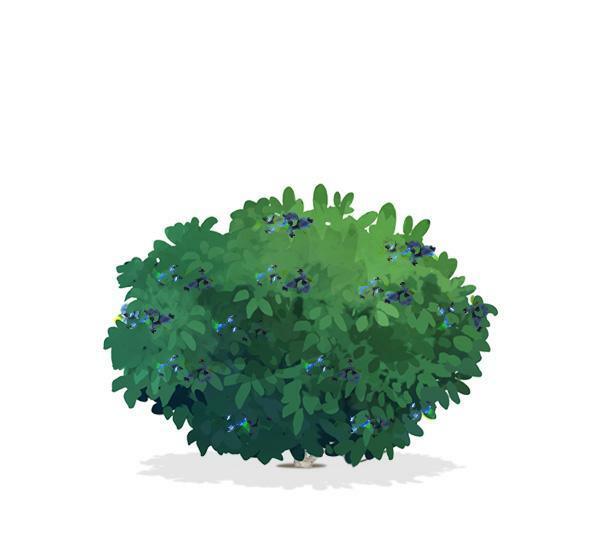 You can expect a plump, juicy berries from this bush. 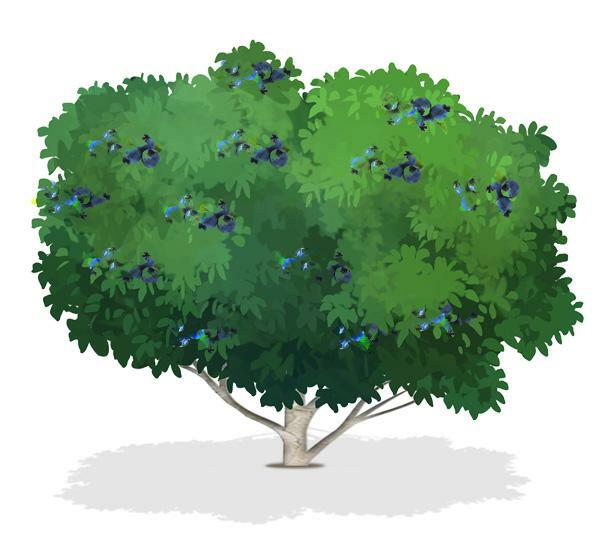 Some people call them blueberry trees, but blueberry plants grow as bushes. 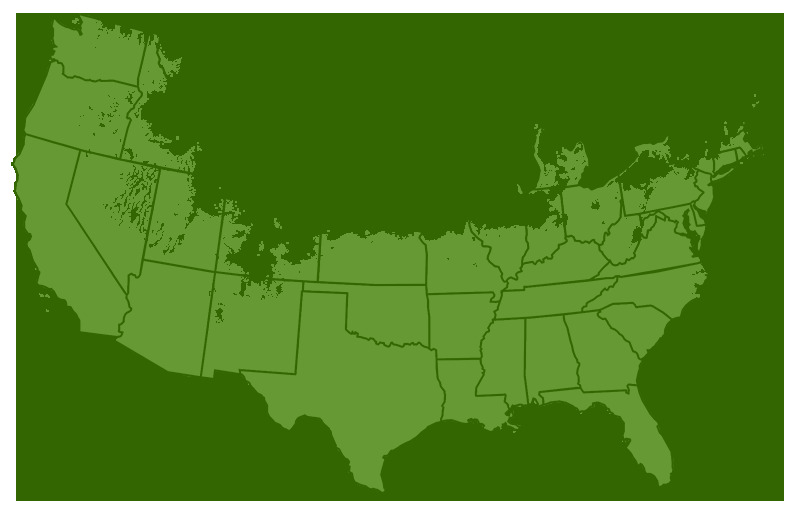 Variations of wild North American natives can grow in a wide variety of climates and conditions. 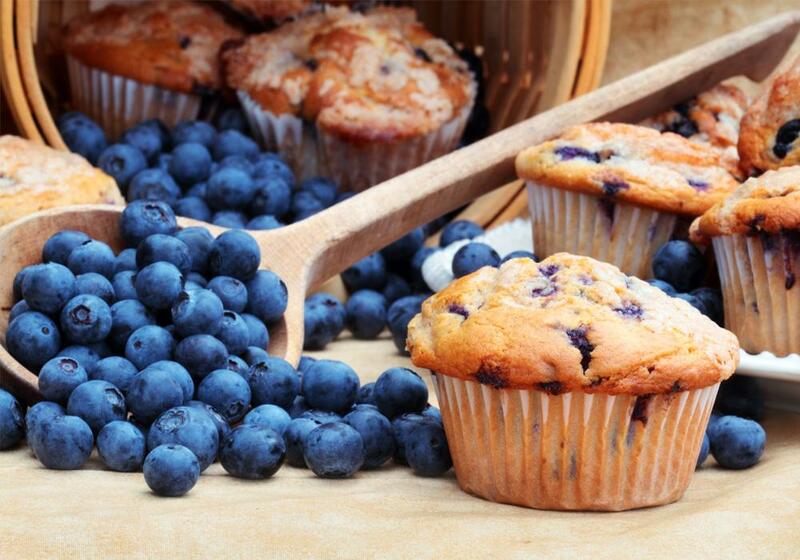 When you grow blueberries, begin by choosing the right plant. Consider its chill hours, the number of hours it takes for plants to stay in cold dormancy below 45 degrees F; how cold/heat tolerant it is; how you want to use the berries (fresh, baking, landscaping, etc. ); and how many days it takes to set and mature fruit. Although most people grow blueberries for the fruits, the bushes are terrific landscape plants with outstanding red fall leaf color. Vaccinium corymbosum plants grow 4 to 12 feet tall and wide, depending on the type. Many cultivated varieties accent specific traits, such as how many days the fruits need to mature, size of the fruits, and size of the mature bush. They're generally less cold-hardy than lowbush blueberries but are more heat-tolerant. Northern highbush blueberry plants grow best in colder climates and need 800 to 1,000 chill hours. There are more than 100 named varieties, including 'Aurora', 'Bluecrop', 'Bluetta', 'Bluegold', 'Bluejay', 'Blueray', 'Chandler', 'Darrow', 'Draper', 'Duke', 'Elliott', 'Earliblue', 'Hardyblue', 'Jersey', 'Legacy', 'Liberty', 'Northland', 'Patriot', 'Reka', 'Rubel', 'Spartan', and 'Toro'. Southern highbush blueberry plants include breeding from a blueberry species native to the southeast United States. They need 150 to 800 chill hours to set fruits. Named varieties include 'Emerald', 'Jewel', 'Jubilee', 'Misty', 'Southmoon', 'Oneal', 'Sharpblue', 'Star', and 'Sunshine Blue'. Vaccinium angustifolium species are native in the northeastern United States. As their name implies, they're a short groundcover plant that grows from underground rhizomes. They reach 6 inches to 2 feet tall and need 1,000 to 1,200 chill hours. Their petite size makes them a good choice for containers. Named varieties include 'Brunswick', 'Burgundy', 'Ruby Carpet', and 'Top Hat'..
Vaccinium corymbosum x V. angustifolium plants are exactly what they sound like: a cross of highbush and lowbush blueberries. They're also called high-low blueberries. Half-high blueberries are extremely cold-hardy and grow about 4 feet tall. They need 1,000 to 1,200 chill hours. Named varieties include 'Bluegold', 'Chippewa', 'Northblue', 'Northcountry', 'Northsky', and 'Polaris'. Vaccinium ashei plants are popular selections for Southern gardens as they need few chill hours. They get their name because the early fruits are whitish-pink, like the color of a rabbit's eye. They're the largest and most vigorous of blueberry types, growing 15 feet tall and 10 feet wide or larger. 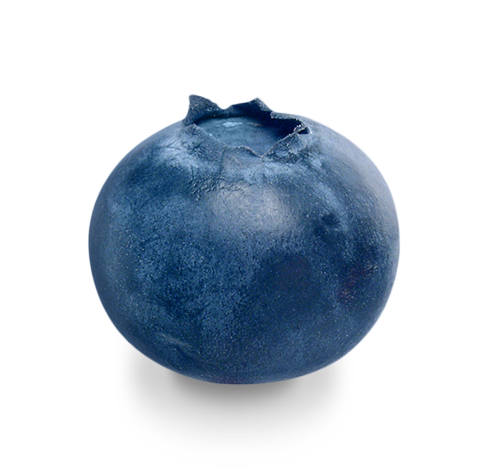 Rabbiteye blueberries are more heat- and drought-tolerant than other types and adapt to more soil pH ranges. Named varieties include 'Brightwell', 'Briteblue', 'Climax', 'Delite', 'Garden Blue', 'Premier', 'Sharpblue', 'Tifblue', and 'Woodard'. Buy two- to three-year-old blueberry plants from a reputable nursery. 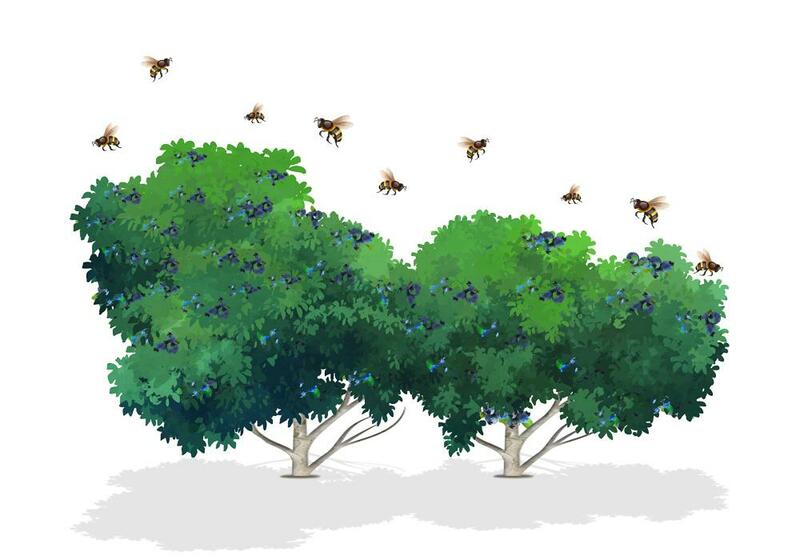 Some varieties are self-pollinating, but many need a different blueberry cultivar planted nearby for cross-pollination to ensure a better harvest. It's a good idea to plant two different kinds even with self-pollinating types. Spacing between plants varies by type. Highbush blueberries need 4 to 6 feet between plants. Lowbush types are spaced 1 to 2 feet apart. Plant half-high blueberries 3 to 4 feet apart. Rabbiteye blueberries should be spaced 6 feet apart or closer if you want them to form a hedge. Blueberries have shallow root systems and need 1 to 3 inches of rain or water each week, enough to moisten the soil 12 to 16 inches deep throughout the growing season. It's best to water deeply less frequently than to water often but lightly. To conserve moisture and reduce weeds, mulch with a 4- to 6-inch-deep layer of pine needles, sawdust, composted leaves, bark, or other organic materials. If you use sawdust or bark, apply extra nitrogen fertilizer, because the mulch depletes the nitrogen in the soil. Although you should avoid placing fertilizer in the planting hole, blueberries can benefit from fertilizers suitable for azaleas or rhododendrons. Apply in early spring according to package directions in a circle 15 to 18 inches away from the base of the plant. Or apply half in early spring and the rest four to six weeks later. Organic gardeners can use cottonseed meal, which has low pH and high nitrogen levels, bloodmeal, or well-composted manure. Blueberries should not be overfertilized, which can lead to excess growth, or fertilized after spring. Increase the amount of fertilizer used every year until the plant is four years old. Blueberry bush care includes pruning. Hold off on pruning the first two years, and -- as hard as this may seem -- pick off all fruit blossoms. 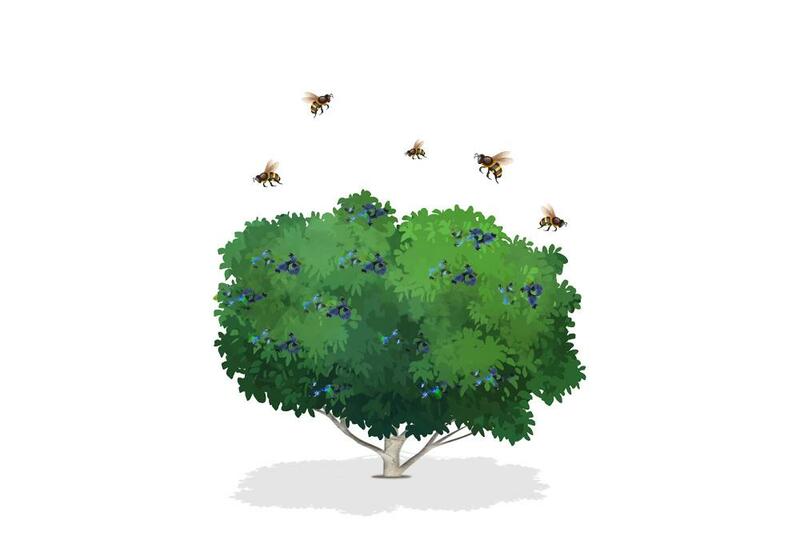 This allows the blueberry bush to put all of its energies into new growth instead of fruit production. In late winter, just before spring growth begins, prune weak or dead branches. Make the cut where the branch meets a sturdy limb. Remove any lower limbs that might touch the ground when bearing heavy fruit. Check the center of the plant and remove vertical upshoots to allow more sunlight and air circulation to reach the center of the plant. It also encourages the growth of side limbs that are easier to reach. Once plants are six years old, remove the oldest few stems. Avoid overpruning or your harvest will be much lighter. Mature blueberry plants should have a variety of healthy stems (also called canes) varying in age from one to six years old. Blueberries begin to produce fruit in their third year (remember, you are removing the blossoms during the first two years) and increase production every year until they're five years old. They take eight to 10 years to mature. 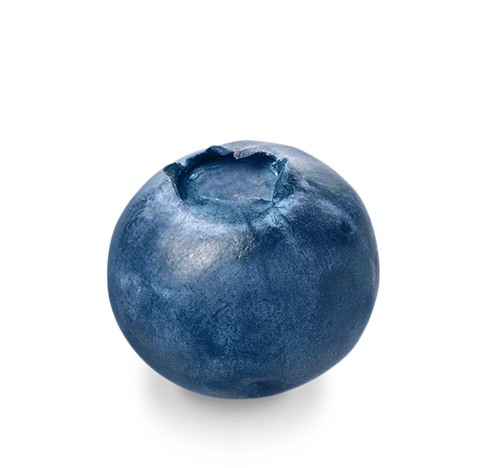 Pick blueberries when they're fully ripe on the plant; they don't ripen after picking. Watch the ripening fruit carefully, and harvest berries one to two days after they begin to turn blue. Not all of the fruits in each cluster ripen at the same pace, so use care in moving off the ripe berries and leaving the immature ones. Refrigerate blueberries immediately after picking to keep them at their freshest. Keep the berries dry; to prevent mold, don't wash them until immediately before eating. Many of the smallest varieties of blueberries perform very well in containers, where it's easy to control the soil pH and water. How Big do Blueberry Bushes Grow? The Lowbush, Highbush and Rabbiteye vary in their size and character. Grows upright and reaches 5-6 feet tall. Spreads out as ground cover and reaches 1-2 feet in height. Grows to a mature height of 6-10 feet. The berries vary in size. 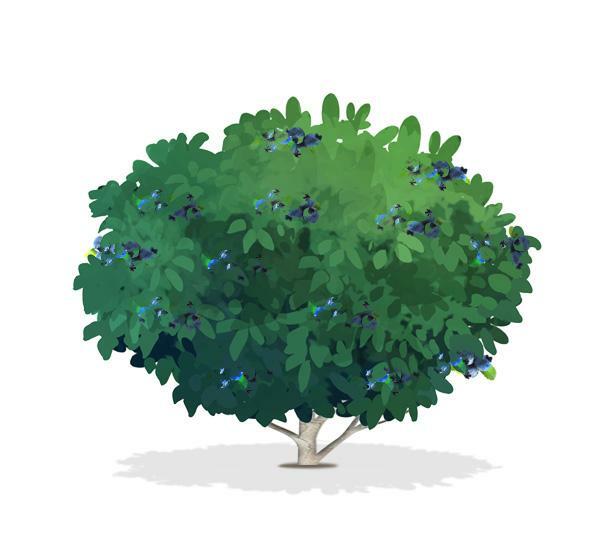 Lowbush shrubs produce blueberries that are small. Highbush and Rabbiteye plants produce medium to large sized berries. 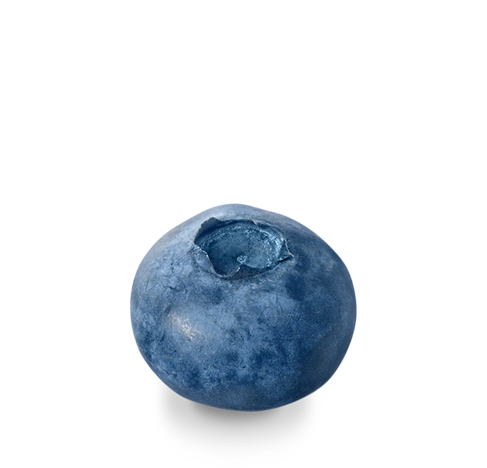 The flavor of blueberries will range from sweet to tart, and mild to tangy. Overall, when picked right from the shrub, bigger berries tend to taste sweeter, whereas smaller berries are preferred for cooking, because they typically have a more tart flavor. Blueberries ripen over a long season and hold well on the bush. 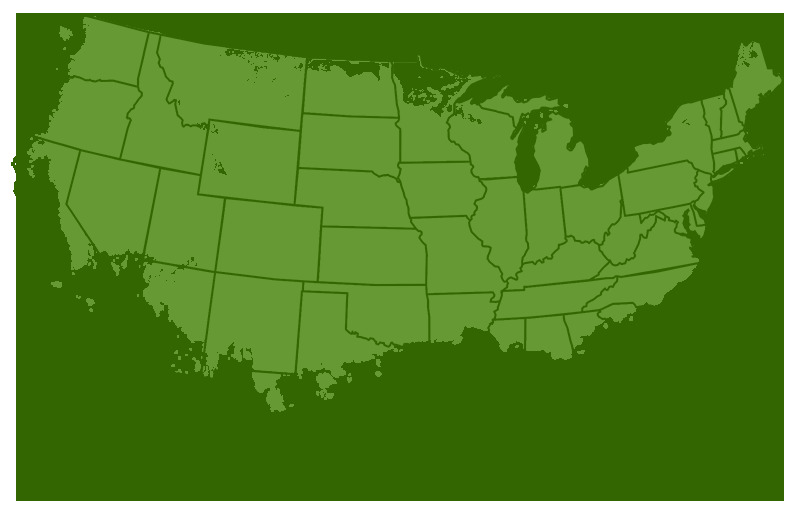 The harvesting season varies between different climates / areas of the country. In cooler climates, blueberry season starts in July and runs through August. In milder climates, the season runs from July into September. Warm climates tend to have seasons that starts as early as May / June and carries through July.